One of the most important days that your better half will remember is the day that you proposed to her. After all ‘The Proposal’ day is an eventful one in a couple’s life as they promise to soon walk down the aisle together. A woman looks forward to this day and this high expectation plus hype set around this day makes it that much more difficult for the guy to plan the way he will get down on one knee. And then besides planning the prefect proposal, there is the added pressure of finding the perfect ring as well! Obviously this can’t be easy. You will want only the very best for the love of your life and will be willing to go to extreme lengths to make sure that she feels as special as she is to you. Of course, the expression on her face once you propose may make you forget all the trouble you went through to zero in on the perfect ring for her. Here is a list of the things that will help reduce the pressure and trouble of selecting a ring that you know will leave her speechless. The engagement ring is going to be on her finger forever, so you would definitely want to take into consideration the type of ring that will suit her style more than your own. If you plan on proposing to her, you will surely know the kind of jewellery she loves wearing. She may even have mentioned the type of rings she loves (if you had been paying attention). You can ask her sibling or girlfriends about the type of ring she would love. They will most likely have information that you would even be ready to pay for! Hence if you are the clueless type, they are your best bet. You may think that once you are aware of what she would love, the money aspect won’t matter. You may even be ready to go into a small debt for the same. This isn’t wise at all. Decide on a specific range and do not go higher than the budget no matter how lovely a ring may seem. You will have plenty of options within your range and can take a friend who has experience in the same to help you select the best ring in your price range. A ring has two aspects, one is the stone and the other is the setting. The setting refers to the framework that supports and holds the stone. More often than not, you may prefer a stone from one ring and the framework of another. In such cases, you will need to customize the ring. Customization is common and not expensive as may be perceived. The only element required her is time. Customization may take a couple of weeks and therefore make sure to begin your search for the engagement ring well in advance. You will most probably have Googled the various aspects you need to know about a ring, like the famous 4Cs: Carat, Clarity, Cut and Color. Do not sacrifice one for the other. 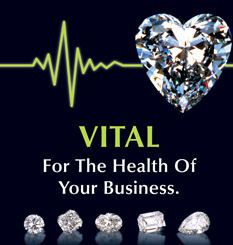 Let your jeweler know your budget and he can then suggest the type of rings that incorporates the best of all the 4Cs. This is the part that can get stressful but if you do so with a trusted jeweler, you will be able to arrive at a perfect decision. While purchasing an engagement ring, make sure you do so from a jeweler that is recognized by the Gemological Institute of America. This helps make your purchase a safe and secure one. The engagement ring, besides being one of the most emotionally invested decisions is also one of the most expensive decisions. Hence it would be sensible to get an insurance policy with your jeweler for replacement. You could even add the ring value to your home insurance policy. The anxiety and worry you will experience while buying her an engagement ring is inevitable. The main thing to remember here is that, her saying ‘Yes’ depends more on your love than the ring, which is just a symbol of your love. But yes, this is an important symbol! So if you keep the above factors in mind, you can go through this process with a little more confidence and a little less worry.